On Friday, April 19, at the Hotel Nikko San Francisco (222 Mason Street, San Francisco, CA, www.hotelnikkosf.com), from 5 pm to 9 pm, StartOut.org will be celebrating exceptional LGBT entrepreneurs and business leaders. 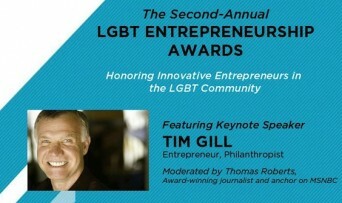 The inspiring evening honoring creativity and innovation by lesbian, gay, bisexual and transgender entrepreneurs features a cocktail reception, awards ceremony dinner and a keynote interview with the winner of the 2013 Leadership Award. Till Gill will receive the Leadership Award and Zoe Dunning will receive the Advocate Award, while Heather Hiles receives the Innovator Award and Jordan Goldman receives the Next Generation Award. StartOut.org also offers a Lesbian Mentorship Program. Posted April 12th, 2013 & filed under Money.